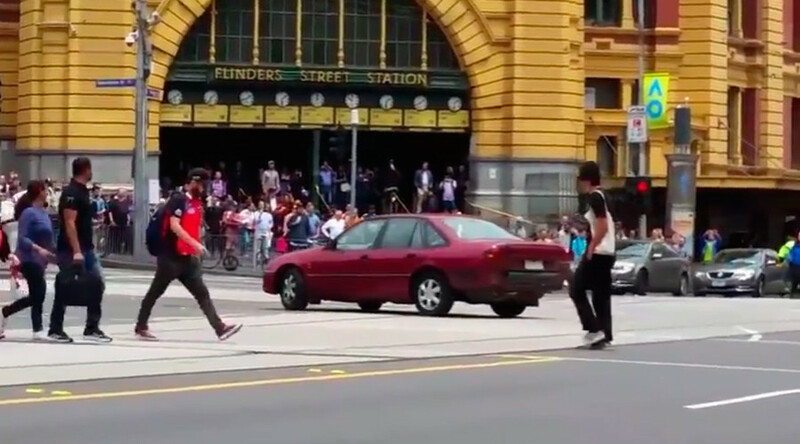 The man driving the vehicle that smashed into pedestrians in Melbourne had been driving wildly moments before the gruesome incident, a video that emerged online shows. A number of other videos, showing the rogue red car “driving erratically,” as described by the police, have also emerged. One video shows the red car, driving in circles at an intersection, while pedestrians and drivers watch the rogue driver leaning out of the car window and shouting something. Police officers try to stop the car, and one of them is seen hitting the car with a baton. Another video shows the same scene filmed from a different angle. — Rebekah Wymer (@rebekahwymer) 20 января 2017 г. The car eventually speeds away, supposedly straight to the site of the deadly crash.